A native of South Korea, Jaebon immigrated to the United States in 2006, after completing her Bachelor of Music Degree in Composition from Korea National University of Arts in Seoul. She enrolled in a graduate program at the Steinhardt School of Culture, Education and Human Development at New York University, with an emphasis in Scoring for Film and Multimedia, receiving her Master of Arts Degree in 2008. In 2008 Jaebon moved to Los Angeles to become involved in the film industry and in 2012 enrolled as an Organ Performance major at the Thornton School of Music, University of Southern California, studying with Dr. Ladd Thomas. She received a Graduate Certificate in Performance with honors in 2014. She is currently enrolled in a Doctor of Musical Arts program with emphasis in Sacred Music at the Thornton School of Music and continues her Organ performance studies with Dr. Ladd Thomas, private Composition study with Dr. Morten Lauridsen and private Jazz Piano Performance study with David Arnay. 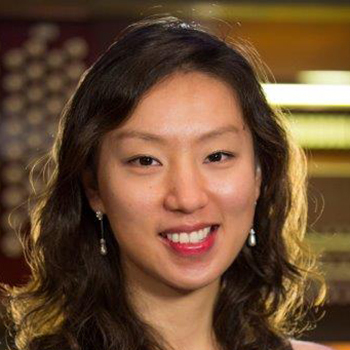 In addition to her academic studies in music, Jaebon has earned both the Associate (AAGO) and Fellow (FAGO) Certificates from the American Guild of Organists. She has attended masterclasses in Improvisation with George Baker, Service and Hymn Playing with Bruce Neswick and Film Scoring with Mark Snow. She has won many awards including academic scholarships, organ and film score competitions. She is a member of the following professional organizations: The American Society of Composers, Authors and Publishers (ASCAP), the Los Angeles Chapter of The American Guild of Organists (AGO) and the USC Chapter of the Honor Society of Phi Kappa Phi. She will be directing the Los Angeles Chapter, AGO Pipe Organ Encounter (POE) in July for high school students. She serves as the Chair of their Program and Scholarship/Competition Committees and on their Board of Examiners to judge applicants in their examinations for the Service Playing Certificate and Colleague of American Guild of Organists. Jaebon brings a wealth of professional experience in church music as Organist at The Songam Presbyterian Church, Seoul, Korea, Organ Scholar and Assistant Organist at First Congregational Church, Los Angeles, Chapel Organist at Pilgrim School, Los Angeles, and most recently Organist at Westwood United Methodist Church, Los Angeles. She was also a member of Songam Presbyterian Church's Zion Choir (Seoul), Riverside Church Choir (NYC) and First Congregational Church's Cathedral Choir (LA). Jaebon has performed as an Organ Recitalist and Ensemble Performer in several venues around the greater Los Angeles area, including "Bach in the Subways" at Union Station. She has accompanied several Choral Ensembles in Los Angeles, New York and Seoul, including a performance of Bach's "Mass in B Minor" for the 75th Annual Los Angeles Bach Festival Chorus at First Congregational Church. She has made a recording ("Vince DeRosa Tribute") with the Hollywood Epic Brass, Organ and Percussion Ensemble, released in 2014.